Yesterday, November 12, 2015 the office attended the speech of Mr. Nicolás Maduro Moros, President of Venezuela, during a special session of the Human Rights Council at Palais de Nations. 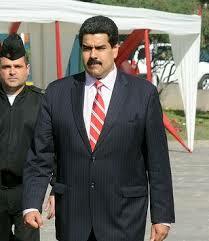 The speech was carried out three weeks before Venezuela holds parliamentary elections. At the beginning of the session, the UN High Commissioner for Human Rights, Zeid Ra’ad Al Hussein, addressed President Maduro in a video message. The High Commissioner welcomed the participation of Venezuela in the Universal Periodic Review and urged Venezuela to ratify again the Inter-American Convention on Human Rights. He also stressed some concerns about the independence of the Venezuelan judiciary, the impartiality of judges and prosecutors, the pressures they face in handling politically sensitive cases and about the intimidation, threats and attacks against journalists, human rights defenders and lawyers in Venezuela. Mr. Zeid greeted this opportunity to hear about the human rights situation in Venezuela and reiterated that upholding and defending human rights is a fundamental obligation for a state in order to build a stable and prosperous society. Afterwards, Mr. Maduro expressed his happiness about the reelection of Venezuela as a member of the Human Rights Council restating the importance of the Council to continue protecting and promoting human rights beyond national interests and power coalitions. Furthermore, he talked about the democratic and inclusive process that led in 1999 to the drafting of the new Constitution of Venezuela, which established the ground for the reconstruction of the country based on human rights. Despite the economic crisis, he said, Venezuela will close the year 2015 with a reduction of poverty and unemployment. During his speech, Mr. Maduro defined Venezuela as an ”independent, dissident and revolutionary process” and often emphasized the important role of its country in shaping a new international order. This order is characterized by a new regionalism in a multipolar world, where former oppressed countries have a strong voice. At the end, the President stated that Venezuela will continue fighting for a just world and announced that the day of the upcoming elections, December 6, will represent for its country “the celebration of peace and democracy”.